All those who have attended a course run by The Attingham Trust automatically become members of the Trust’s alumni association: The Attingham Society. One of the strengths of The Attingham Trust is that its courses bring together people from varying disciplines and from many different cultures, united by a common interest in heritage and the visual arts. Many lasting professional and personal friendships are made and The Attingham Society encourages members to keep in touch with one another and continue the sense of international comradeship and common purpose which Attingham seeks to engender. Working in close co-operation with the American Friends of Attingham both groups organise lectures, conferences and visits as well as publishing Annual Reviews, newsletters and e-bulletins with news of their events. Alumni Ambassadors in 18 countries maintain links with their compatriots who have attended the courses. There is no membership subscription for The Attingham Society and, as an educational charitable trust, we receive no government funding. 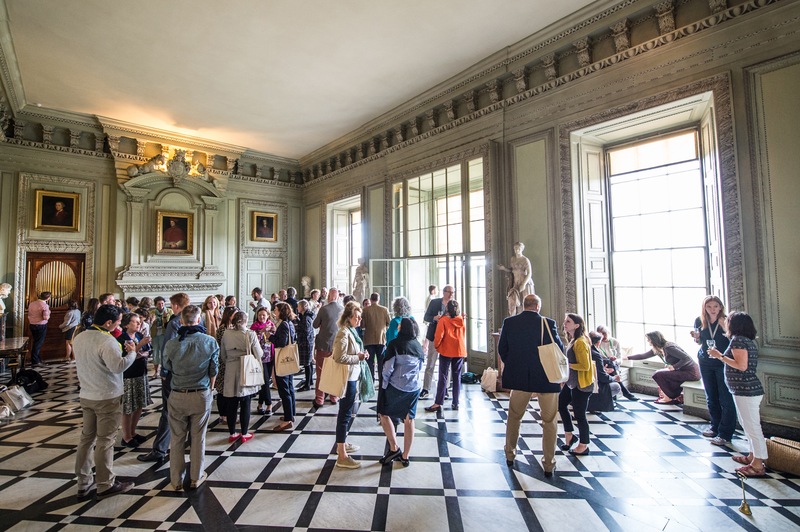 It is through generous support from external bodies, private individuals and alumni that The Attingham Trust provides financial assistance to enable as many applicants to attend its programmes as possible, but we need to safeguard this for the future. An annual donation to the Trust is easy to set up by filling out the standing order form and returning it to: The Attingham Trust, 70 Cowcross Street, London EC1M 6EJ. UK taxpayers are kindly asked to Gift Aid their donation and can choose to do so on the same form. Individual donations can be made by paying directly into The Attingham Society’s PayPal account with your credit card. Participants on our courses have been drawn from numerous museums, heritage bodies, universities, architectural practices and conservation workshops all over the world, some of which are listed below. The Attingham Trust is committed to protecting and respecting your privacy in accordance with the European Union’s General Data Protection Regulation (GDPR), which comes into force on 25 May 2018. As either an alumnus or alumna of one our courses, or a contact of The Attingham Trust, we hold your data that consists of your name, address (private, professional or both, depending on what you have given us), phone number (in a few cases only) and e-mail address. We also hold a record of the course(s) you have attended and in which year(s). The information is held by the Secretary/Assistant to the Executive Director (who is the nominated Data Controller) and is accessible by the Executive Director and the Course Directors where appropriate. What do we do with your details? In no circumstance will we either add extra information to your file or share your details with any organisation or private individual without first seeking your permission. Do you have the right to withdraw yourconsent? You have the right to see a copy of your data and rectify any omissions and errors. You have the right to ask us to delete your data or unsubscribe at any time to our occasional publicity e-bulletins.